If you would like to be updated with our monthly newsletter, please fill in the form below. We will send a maximum of one email a month and you will be able to unsubscribe at any time. Once the form has been submitted, you will be sent a confirmation email with a link to confirm the subscription. Subscription to this email newsletter is completely free. Over the years we have been asked regularly to contribute to magazine articles on car care, but in 2014 we were given our very own 20 article series in 911 & Porsche World Magazine enabling us to cover a wide range of topics in some detail. In early 2015 we decided to make these articles available in a dedicated publication. Having sort the kind permission of CHP (publishers of 911PW) and ace car photographer Antony Fraser, whose 996 GT3 featured in most of the photos, we started planning. After three months, our initial twenty-page booklet had swelled into a fifty-page magazine, printed just in time for Waxstock 2015. Initially we printed 1,000 copies, expecting to be lumped with most of them for years to come as car care is quite a niche market. To our surprise Issue 1 sold out rapidly over the summer, warranting both a reprint and a future issue. Issue 2 came out in early 2016, now ninety-two pages and split into different sections, with 5,000 copies going all over the globe. By Waxstock 2016 we were ready to release the third issue. Thanks to overwhelming interest from advertisers, we had some budget to upgrade the design and layout - it was starting to be a 'proper' publication though still put together as an evening project. December 2016 saw the release of Issue 4 - now up to 100 pages and with a new 'PRO Detailer' design - though originally conceived as a trade-only publication, the growing audience of home-detailers and enthusiasts allowed us to broaden the articles so now the publication offers something for everyone, whether a seasoned professional or keen beginner. Issue 5 will be coming out in July 2017 at Waxstock, and for the first time we have a dedicated distributor in the USA - Autoality. Not only does this provide the magazine at lower cost to American readers, but we have also got articles and interviews coming from some of the top detailers in USA. Events - catch-up with recent car events that include some element of car care, be that a concours competition or arrive'n'shine - also includes an Events Calendar. Products - keep up to date with the latest developments in products and equipment, also includes deals and discounts from manufacturers and resellers. Guides - learn how various detailing processes should be done to hone and expand your own knowledge and skills. Hardware - new to issue 5, we keep abreast of the latest hardware as well as offer guides on care & repair for popular devices, from pressure washers to machine polishers. Showcase - a chance to see some of the most exciting details by PVD members around the UK with big photos and in-depth write-ups of the processes and products used. Trader Talk - primarily for the car care professional, but relevant for amateurs wanting to find out about industry news, or other small business owners. Megatest - the biggest car care tests in the industry. 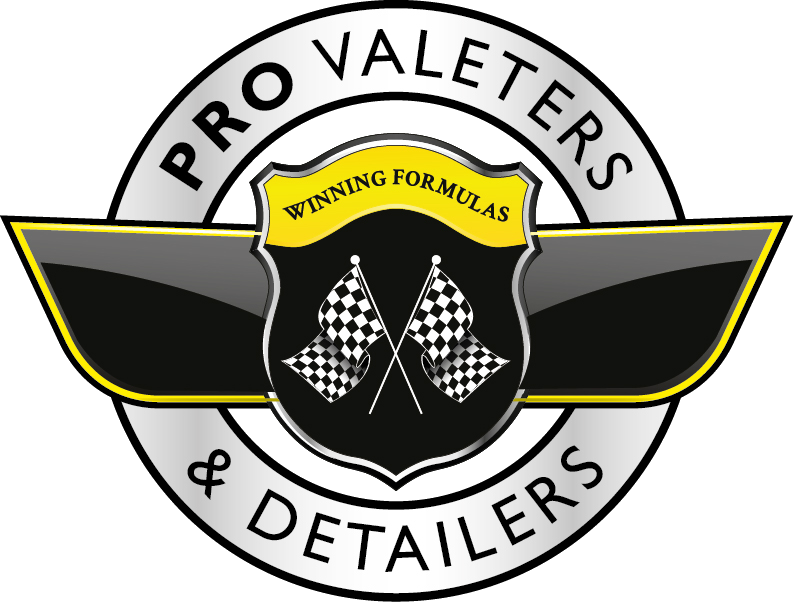 The Professional Valeters & Detailers Trade Association was originally launched at the inaugural Waxstock show in Peterborough (UK) back in 2012. Since then we have always had a major presence at the event as we feel it is perhaps the best thing to have happened to the industry in this decade. Thanks to the hard work of Dom Colbeck, PJ, and John Hole, the show is going from strength with well over two-thousand attendees in 2016. At the end of 2015 we asked the Waxstock team if we could do a show guide for their 2016 event. They very kindly agreed and thus we had another publication due at the same time as Issue 3 - enter the first Waxstock Show Guide. We have since produced guides for all subsequent Waxstock events, some copies are still available in the Shop.